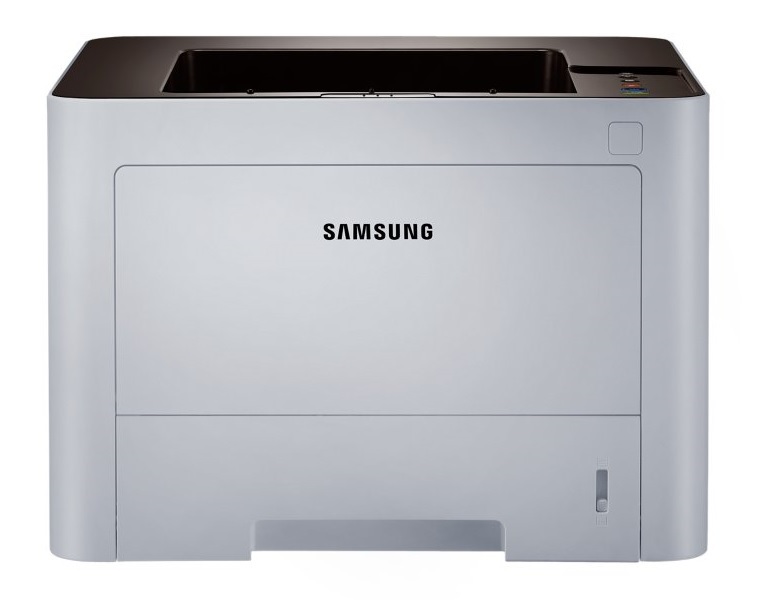 The Samsung SL-M3320ND black and white laser printer is a single function monochrome printer from the ProXpress line, which is aimed at home and small offices. It's a good entry-level device with a built-in duplexer, networking and ample paper capacity for basic printing needs at a reasonable price. However, it doesn't offer other notable strengths and the ProXpress M3320ND laser printer could use a better multi-purpose tray for specialty media. It’s easy to set up. The paper capacity can be increased to 770 sheets. The duplexer can reduce paper consumption. There’s a single-sheet manual feeder in the Samsung SL-M3320ND monochrome laser printer for certain types of specialty paper. Ethernet is a standard for easy connectivity. The Samsung ProXpress M3320ND uses an all-in-one ML-3320ND toner cartridge, which helps reduce the need for maintenance. It lacks a good multi-purpose tray, and there are no additional options to upgrade the Samsung SL-M3320ND mono printer besides the second cassette. The actual print speeds are lower than the 35ppm rated speed for the Samsung ProXpress M3320ND black and white laser printer. The output quality is acceptable, but not that impressive with subpar text and below average graphics.